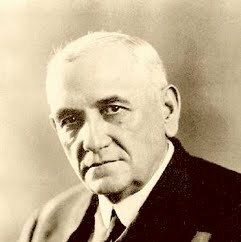 Henry Luse Fuqua was a Baton Rouge businessman and the last Louisiana Governor to have died in office. Fuqua defeated both Huey Pierce Long, Jr., and Lieutenant Governor Hewitt Leonidas Bouanchaud in the Democratic gubernatorial primary in 1924 to succeed the term-limited John M. Parker. He died halfway into his term, and Lieutenant Governor Oramel H. Simpson succeeded to the top post.